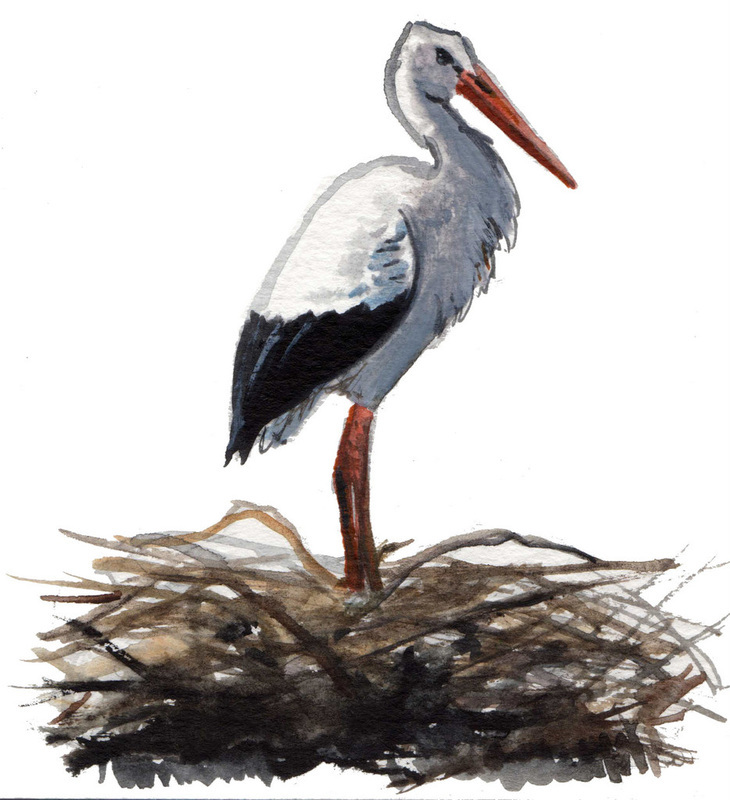 White storks commonly breed throughout Hungary and Eastern Europe. These large white carnivorous birds with their 5-7 foot wingspan are a beautiful and welcome sight. They are not disturbed by the presence of humans and often build their large stick nests on rooftops. Stork nests can be seen in the book atop the village church and a village house. 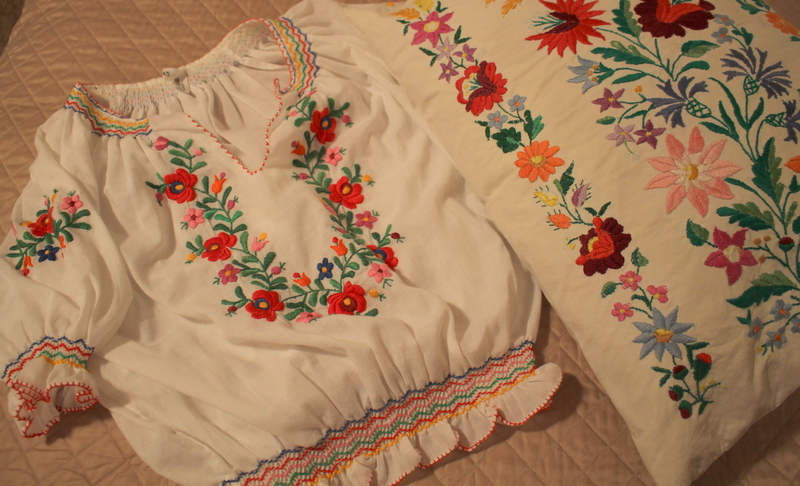 In Roses in the Snow Elizabeth and her grandmother are shown wearing clothes with traditional Hungarian folk art embroidery. 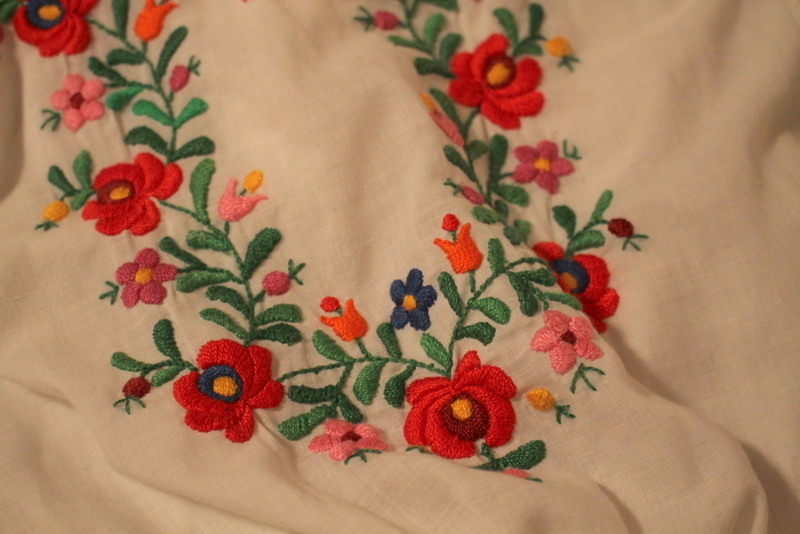 Nagymama's tablecloth is also adorned with beautiful Hungarian stitchery. This style features bright colors with lots of red and green in bold floral patterns. The illustrator used samples brought from Hungary by her own relatives as inspiration for these pictures.